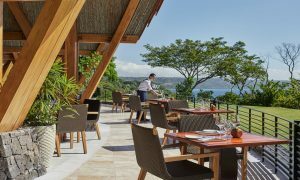 Four Seasons Resort Costa Rica at Peninsula Papagayo announces a collection of new enhancements tied to wellness and personalised luxury. Four Seasons Resort Costa Rica at Peninsula Papagayo, the first Forbes five-star resort in Central and South America, situated on the 1,400-acre Peninsula Papagayo on Costa Rica’s north Pacific coast, announces the debut of new and reimagined spaces and amenities to complement the resort’s recent US$35 million renovations. 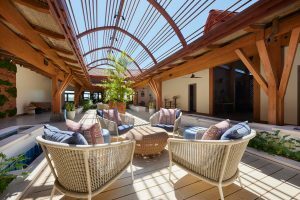 The most recent collection of enhancements feature expanded wellness programming and new culinary experiences, as well reimagined public spaces by the renowned Meyer Davis design firm. 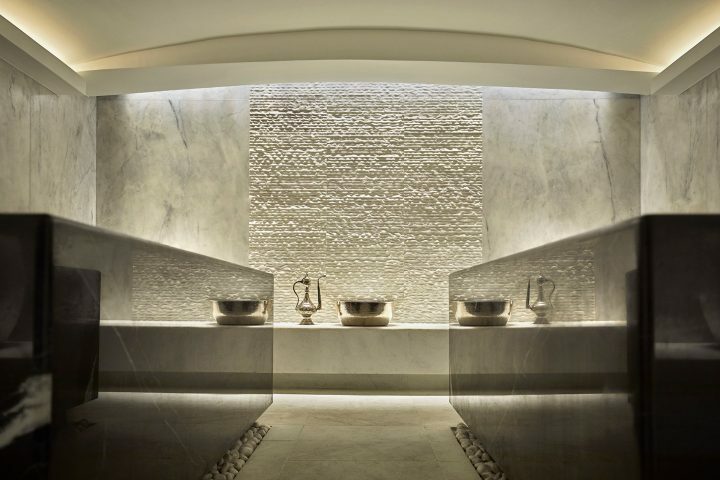 The fully re-imagined spa offers a serene wellness experience from the moment of arrival. A neutral colour palette and rich natural textures extend a sense of tranquility across key spaces including a new pre-treatment relaxation lounge and post-treatment indoor cabanas. Locker rooms have been enhanced with new steam rooms, and hot and cool hydrotherapy pools. Spa treatment rooms feature waterfall showers, private sauna and steam rooms and whirlpool tubs with ocean views. A special hammam room offers unique Turkish bath experiences; and new Ayurvedic and sound healing spa treatments including a two-hour Traditional Hammam Ritual, 90-minute Sense of India Ritual and 60-minute or 90-minute Abhyanga Massage. 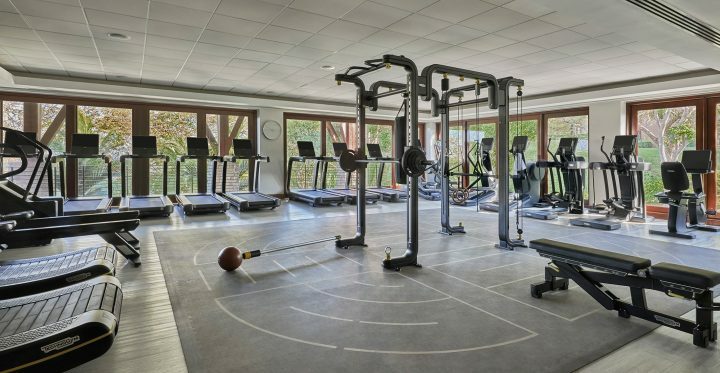 The revitalized fitness centre offers new state-of-the-art Technogym equipment and enhanced exterior space for ocean-view yoga and spin classes framed by the surrounding tropical landscape. New fitness classes include Tibetan Bowl Meditation, Barre Sculpt, TheraBand, Pilates Stability Ball, Cardio Dance, Qi Gong, Yoga Wheel, Yoga Detox, among others. We are continuing to raise the bar on luxury hospitality and personalized service. The new concierge lounge features interactive screens showcasing complimentary daily activities, as well as curated outdoor pursuits by Papagayo Explorers Club. A Papagayo Explorers Club guide is now available to help plan eco-adventures throughout the peninsula’s 1,400-acres and 11 miles of coastline, including more than 25 only-here adventures on land and water. As the resort’s new signature latin steakhouse, Nemare will offer a sophisticated and creative culinary experience from Chef Gerardo Astorga at the newly re-imagined Peninsula Papagayo golf clubhouse, which overlooks the Arnold Palmer Signature course. The Nemare name and local-infused dining concept is drawn from the Chorotega language’s word for “smoke,” which is celebrated across the menu with craft cocktails and smoke-infused dishes. Local dry-aged steaks will include a 45-day sabanero steak and USDA imported steaks include filet mignon and tomahawk chop; all steaks will be served with house-made infused salt seasoning include rosemary, malbec, bourbon and vanilla, and smoked paprika. With its diverse menu, Nemare will feature many other savoury dishes ranging from roasted rack of lamb with cremini mushrooms and Heredia farm free-range chicken to seafood dishes including house smoked salmon with chervil mascarpone and grapefruit, steamed baby sea bass, and line-caught tuna with cherry tomato confit. 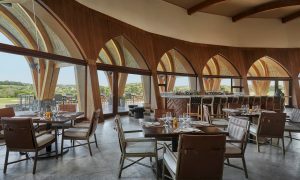 Nemare will set a memorable dining scene with striking design from international design studio Denton House that pairs rustic and geometric shapes with rich materials including teak, leather and stone to offer a modern, cosmopolitan take on Costa Rican design traditions. The restaurant will offer indoor and terrace dining and feature an elegant centrepiece bar. Founded in 1960, Four Seasons Hotels and Resorts is dedicated to perfecting the travel experience through continual innovation and the highest standards of hospitality. Currently operating 106 hotels and resorts and 38 residential properties in major city centers and resort destinations in 44 countries, and with more than 50 projects under planning or development, Four Seasons consistently ranks among the world’s best hotels and most prestigious brands in reader polls, traveler reviews and industry awards. For more information and reservations, visit fourseasons.com. For the latest news, visit press.fourseasons.com and follow @FourSeasonsPR on Twitter.